Expect more phones in the vein of the S6 Edge. Bad news, Samsung fans: Apple is now selling more handsets than the South Korean company (74.83m v 73.03m in the last quarter, Gartner says). So what is Samsung going to do about it? Focus on high-end, top-quality phones. Budget plastic phones are out; metal casings, slim handsets and high-definition displays are in, Samsung's Co-Chief Executive Office Shin Jong Kyun has been telling company shareholders. 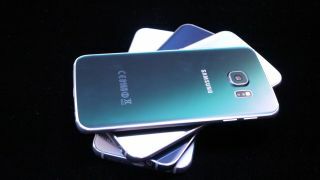 The Galaxy S6 and Galaxy S6 Edge certainly have that premium feel about them and the word on the Samsung street is that pre-orders have been strong. The company's shares are climbing in the right direction too. With very little profit to be made at the budget end of the smartphone market and a stack of price-cutting competitors to battle against, it makes sense for Samsung to take on Apple on its own top-of-the-range turf. The firm is also expecting to launch more smart home appliances and health-related kit in the coming months in a bid to diversify its product portfolio. Intelligent washing machines and the like could help it prop up any shortfall in smartphone sales. The CEO's comments hint that the direction Samsung has taken with its latest premium smartphones is going to continue - if you want a bargain basement Android handset then you're going to have to look elsewhere.